As my first days as Sheriff of Durham County end, I’d like to take a moment to thank the men and women of the Sheriff’s Office, The County of Durham and its citizens for their support and encouragement during this time of transition. Without the hard work and support of everyone involved, we could not have accomplished what we have in these first two weeks. My first week in office was one I will never forget. Beginning with the swearing-in ceremony on Monday, where so many from the community came to show support. The following days were a flurry of meetings and meet and greets as I began to learn more about the people here the Sheriff's Office. Thursday, I met with the Latino community and issued an order bringing an end to honoring ICE detainers in the Durham County Detention Center, a goal I laid out in my plan for my first 100 days as Sheriff. Saturday I was privileged to meet the community at the Durham Holiday Parade. What an awesome job the folks at Durham City did putting on the parade! We ended the week with a flurry of a different sort as the first winter storm of the season dropped a year’s worth of snow on Durham County. Everyone at DCSO stepped up and made the necessary arrangements to ensure staff were at work to make sure our operations ran smoothly during the snowstorm. In the coming days, you will hear more from me about the priority goals we'll address in my first 100 days as Sheriff and how we'll go about accomplishing them. Before we could get started working towards these goals, I had to compile a group of people to serve on my command staff. People with the experience and drive to work alongside the professionals already in place at the Sheriff's Office. Seeing new and current staff members coming together over the past week I am confident in my choices for these key staff positions. I would like to take a moment to introduce the new staff members to the community. Some you may already know as they have served the citizens of this area for many years. 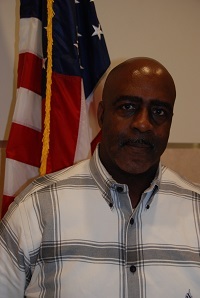 Chief Deputy is Robert Whitted is a United States Air Force veteran with 28 years of law enforcement experience. He has worked for the NC Department of Corrections, Orange County Sheriff’s Office and Hillsborough Police Department. In his role, Chief Whitted will oversee all law enforcement divisions for the Sheriff’s Office. The Chief Advisor over the Sheriff’s Office civilians is Preston Edwards. 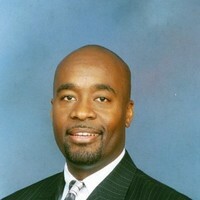 Mr. Edwards was a 2003 Fellow of the NC Institute of Political Leadership and Businessmen. He holds a Masters of Public Administration degree from North Carolina Central University. 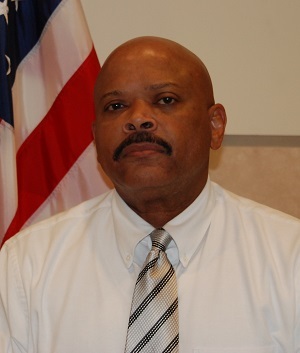 Edwards brings more than 26 years of experience in business, project management, and finance to the Sheriff’s Office. Major Tony Butler is originally from Virginia’s Shenandoah Valley. He began his law enforcement career in 1980 as a deputy for the Guilford Co Sheriff’s Office transferring to the NC Highway Patrol in 1982. He served as a Trooper until 1993 then becoming a church pastor and CNA instructor. He returns to law enforcement as the Major of Support Services at the Durham County Sheriff’s Office. The Legal Advisor for the Sheriff is Stephany Hand-Biggs. 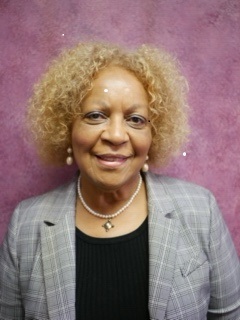 Ms. Hand-Biggs studied law at North Carolina Central University and has been a member of the North Carolina Bar since 1994. Ms. Hand-Biggs worked a general practitioner for the bulk of her career practicing law throughout the State of NC. She has also managed her own Law Firm and worked for the NC Attorney General's Office as special counsel for faith-based outreach projects. Her experience in multiple facets of the legal world will be a benefit to the Sheriff's Office. In the Community Services division is Grace Marsh. Ms. Marsh has a degree in Criminal Justice from North Carolina Central University. 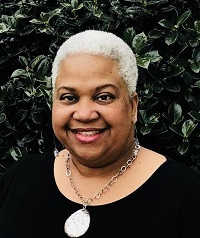 She has worked in human services for more than twenty years and has been a practicing mediator for more than eighteen years, serving as the director of the Elna B. Spaulding Conflict Resolution Center in Durham since 2001. She is in a newly created position as the Community Services Liason. Welcome all to the Team here at DCSO.